Jean-Jacques Goldman was born on 11 October 1951, in Paris. He is one of 4 children. His mother, Ruth Ambrunn, born in Germany and his father, Alter Mojze Goldman, born in Poland were Resistance heroes. Jean-Jacques Goldman is a French singer-songwriter who started his career singing as a back up singer before starting in a rock band Ta&iuml; Phong before starting his solo career. A number of years later he founded the trio Fredericks - Goldman - Jones, with the British Michael Jones and American Carole Fredericks. 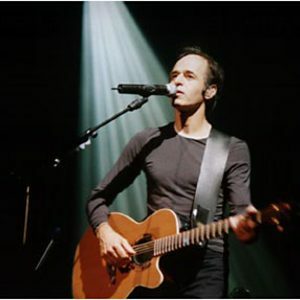 Jean-Jacques Goldman is a French singer-songwriter who started his career singing as a back up singer before starting in a rock band Ta&iuml; Phong before starting his solo career. A number of years later he founded the trio Fredericks - Goldman - Jones, with the British Michael Jones and American Carole Fredericks. He is also well known in France for getting involved in the homeless charity "Les Restos du Coeur" for which he wrote the main anthem.